Paul and I have just returned from our road trip to Sydney. Easter 35 years ago Paul took me to Sydney for our honeymoon on his Triumph with sidecar. This year we decided to do a re-enactment riding the same roads. This time I rode my own bike. 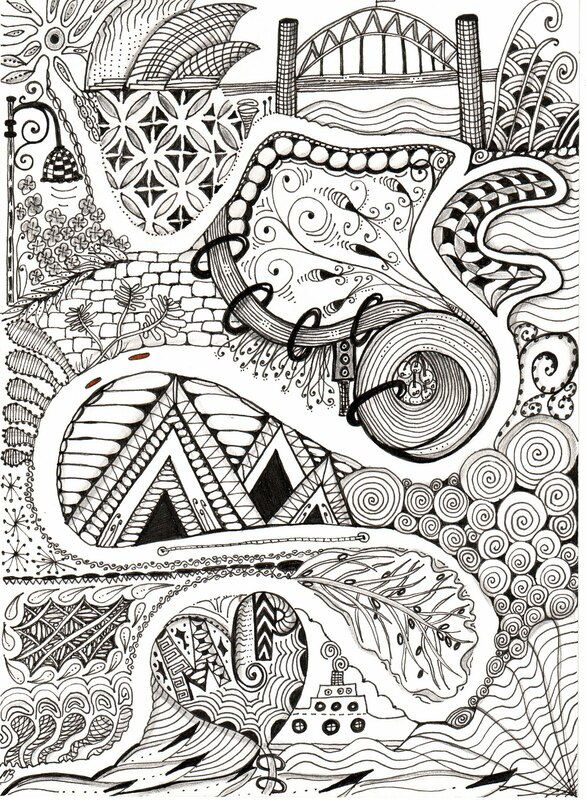 In my Zentangle I hope you can see that we sailed to mainland Australia from Tasmania rode through forests, around mountains, took wrong turns and rode around in circles, admired beautiful tiling floors in galleries, road over the Sea Cliff Bridge and cruised Sydney Harbour. We stayed in the fabulous historic area called The Rocks and enjoyed a very memorable safe trip. Thank you so much for sharing that with us! what a wonderful trip and wonderful thing to do... and i love just love love love the way you have captured it all in your zentangle!!!! just so talented !! Thank you! 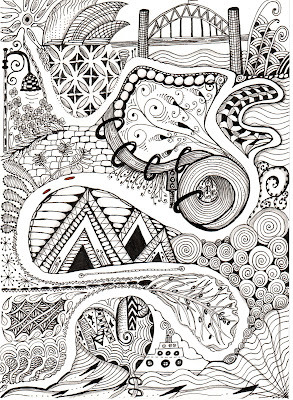 I not so prolific with words and so amazed how swirls, circles, lines and dots can tell a story. 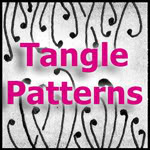 Have a fun tangling time Lynette in Hawaii! Hi - a fellow bike rider, Launcestonian and Zentangler - what a lovely surprise to see your blog. We should get together sometime. Wow Shelly not only did I enjoy seeing you with your Bike...but your zens are awesome...I used to ride but can't even get on one now...my body fails me, but not my spirit!!! hehehehe!!! I'm following you now...what a wonderful blog!!! I finally got here Shelly! What a treat for the eyes and spirit to come and visit! I to am a former Biker Babe (As my hubby calls me ) and I to am like Bevie, my body won't allow me to ride. My Harley or my horse ! This entry adds such a human touch to your blog. 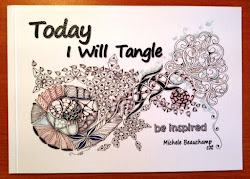 Finally getting to see the face behind the pen and awesome tangles . So happy to finally get here ! Hugs to you from across the ocean !! !